Tags: 2 Part Condensation Cure Liquid Silicone Rubber Mold Making | Silicone Molds . 7 YRS Dongguan Mingcheng Electronic Technology Co., Ltd.
3 YRS Dongguan Jieyang Machinery Co., Ltd.
8 YRS Yiwu Dongcheng Digital Technology Co., Ltd.
3 YRS Xiamen RuiCheng Industrial Design Co., Ltd.
3. Press oxidation ceramic, ceramic balls and other electronic products. 4. Press magnetic bracelet baht, chain beads and other metallurgical product. , Ltd is the professional manufacturer and export of various pharmaceutical machineries in China. 3. Customer T/T deposit to us to start to design mould. 4. Send mould drawing to customer for confirmation. 5. Mould design confirmed and start to make mould. 1 YRS Dongguan Haifan Hardware Plastic Co., Ltd.
10 YRS Zhejiang Dongdubao Mould Co., Ltd.
7 YRS Taizhou Wanhe Import & Export Co., Ltd.
Alibaba.com offers 6,169 2 part mold making products. About 13% of these are moulds, 5% are silicone rubber, and 1% are cake tools. A wide variety of 2 part mold making options are available to you, such as plastic injection mould, blowing mould, and extrusion mould. You can also choose from plastic, steel, and aluminium. As well as from ce / eu, fda, and ce. 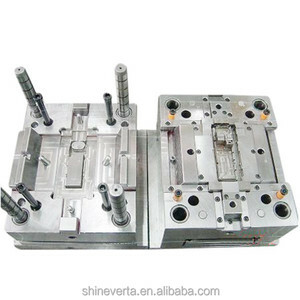 And whether 2 part mold making is cake tools, or hollow block making machine. There are 6,169 2 part mold making suppliers, mainly located in Asia. The top supplying country is China (Mainland), which supply 100% of 2 part mold making respectively.  part mold making products are most popular in Africa, Domestic Market, and Mid East. You can ensure product safety by selecting from certified suppliers, including 1,550 with ISO9001, 918 with Other, and 62 with ISO14001 certification.